The Boat and Anchor Inn sits in a rural position on the side of the Bridgwater to Taunton Canal. The inn boasts a high standard of decor and both a local and regional reputation for excellent food. The Boat and Anchor Inn sits in a rural position on the side of the Bridgwater to Taunton Canal. Situated about a mile from Bridgwater town and half a mile from junction 24 of the M5. br / br / br / br / Facilities close by offer cycling walking and fishing. We are within easy reach of Taunton Exeter Bristol Weston Super Mare Glastonbury Cheddar and Minehead to name but a few. This makes the Boat and Anchor the perfect place from which to explore Somerset the Quantocks and Exmoor. br / br / The inn has been owned by the same family for over 20 years. br / br / br / br / . In 22 acres of grounds, the elegant Boath House Hotel lies on Scotland's Moray Coast amongst parkland, ornamental lakes and walled gardens. A 5-minute drive from Nairn, this hotel offers high-quality dining and free parking and WiFi. Each room has a flat-screen TV, iPod dock, telephone, seating area and tea and coffee facilities. En suite bathrooms include bathrobes, slippers, a hairdryer and complimentary toiletries. A full breakfast menu includes smoked salmon with scrambled eggs, organic porridge, fruit smoothies and a range of teas and coffees. The restaurant also offers lunch, dinner and indulgent afternoon tea, which can be taken outdoors on the terrace during the summer. Boath House Hotel is less than 20 miles from the city of Inverness, with attractions including the Eden Court Theatre and Inverness Cathedral within a 40-minute drive. The ski slopes of Aviemore in the Cairngorms National Park are just 1 hour away. The Boat And Anchor Inn is set in Huntworth, by the canal and 5 minutes' drive from Bridgwater. 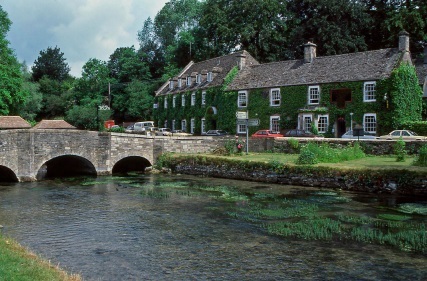 Looking onto the Somerset Levels, this traditional English country pub and restaurant has free Wi-Fi. Rooms at The Boat and Anchor Inn are traditional in style, and feature a flat-screen TV and tea and coffee making facilities. Each also benefits from an en suite shower room. Seasonal British favourites are served in the restaurant, with food made from high-quality local ingredients. Lighter options like sandwiches are also available. You can relax in the light and airy conservatory at the Boat and Anchor, which has views over the surrounding countryside. Glastonbury is a 30-minute drive away, and Exmoor National Park is about 22 miles from the building. Enjoying stunning loch views, The Ferry Boat Inn in Ullapool offers en suite rooms in the Scottish Highlands. A short walk from the harbour and the ferry to Stornoway on the Isle of Lewis, this inn provides free WiFi throughout. All guest rooms have a flat-screen TV, wardrobe and tea and coffee facilities with bottled water and Scottish shortbread. Each has an en suite bathroom with shower or bath, hairdryer and complimentary toiletries, and some rooms have views across Loch Broom towards the mountains. Breakfast is served each morning, and the on-site Blue Kazoo Seafood Restaurant serves local fish and shellfish. The restaurant is open all day for food in the summer and for breakfast, lunch and dinner in the winter. The Ferry Boat Inn is around 4 minutes' walk from the Ullapool Museum and the surrounding shops. The Ullapool ferry to Stornoway takes around 2 hours 45 minutes and passes some beautiful scenery and wildlife on its way to Lewis. The Boatside Inn is a welcoming and attractive country pub nestling between the river South Tyne and the wooded slopes of Warden Hill in Northumberland. All our rooms are en-suite and well equipped. Ideal location for walking cycling (the Hadrains Wall Cycle routes passes the front door). The very popular Salmon and Trout Fishing is available on the South Tyne adjacent to the Inn and on the North Tyne. Golf is also available close by - Hexham Racecourse is approximately 3 miles away. br / br / br / br / The Inn offers Interesting and varied food menus all freshly prepared using local produce where possible there is also a good selection of Cask Ales Beers Wines Minerals and Hot Drinks. br / br / br / br / The Boatside Inn can offer both B & B accommodation and self catering holiday cottages. Housed in a purpose designed stone building all units are fitted out to a high standard and are well insulated very comfortable and cosy. br / br / They are close but not too close (less than 50 yards) to the excellent country pub where you can get breakfast lunch or evening meals. Why not pamper yourself at Natural Therapies just across the other side of our car park br / br / br / br / The Inn is situated in the country Hamlet of Warden just over 2 miles from the lovely market town of Hexham and mile from the A69. The inn is very easy to find just off the A69 trunk road. br / br / There is plenty of parking for guests and free WiFi internet access in the restaurant. Please Note: We are a No-Smoking property. Check-In time: 12:00 and Check-Out time: 10:00. br / br / br / br / It is the perfect place to explore the region or get to work almost anywhere in the North East as shown in things to do . Featuring a restaurant and a bar, The Boathouse offers free WiFi and views across the Firth of Forth. Anstruther Golf Club is just 500 metres away. The bedrooms each feature an en suite bathroom and tea and coffee making facilities. Some of the rooms offer sea views or a seating area. The Boathouse serves classic seaside pub dishes using fresh locally sourced produce and fish and chips are always a favourite. The accommodation is situated over 2 floors and is conveniently located to enjoy some fantastic golf in the East Neuk. Kyle Blue - Bristol Harbour Luxury Hostel Boat is set in Bristol, within 2.8 km of Bristol Cathedral and 3 km of Cabot Circus. Around 400 metres from Bristol Industrial Museum, the property is also close to SS Great Britain. Free WiFi is available. Clifton is 4.3 km from the hostel, while Bristol Zoo Gardens is 5 km from the property. The nearest airport is Bristol Airport, 13 km from the property. Featuring water sports facilities and bar, as well as a restaurant, The Pilot Boat is set in Lyme Regis. Built in 19th century, the property is within 100 metres of Dinosaur Land. All rooms in the inn are fitted with a coffee machine. The rooms come with a TV, and some rooms at The Pilot Boat have a sea view. You can play mini-golf at the accommodation, and the area is popular for snorkelling. The nearest airport is Exeter International Airport, 46 km from the property. With a tennis court and a garden, Windermere Motor Boat Racing Club provides accommodation with free WiFi. A flat-screen TV and DVD player are available in some units. A Full English/Irish breakfast is available every morning at the country house. Windermere Motor Boat Racing Club offers a terrace. If you would like to discover the area, cycling is possible in the surroundings. World of Beatrix Potter is 5 km from the accommodation, while Lake Windermere is 6 km away. The Boat House offers accommodation in Plymouth, 3.2 km from Plymouth Hoe. Free WiFi is available in the holiday home, situated 3.2 km from Plymouth Pavilions. The provided holiday home is equipped with 3 bedrooms, a living room, a kitchen, a dining area and 1 bathroom with a bath and shower. A flat-screen TV with satellite channels is featured. Guests can also relax in the garden. Cathedral Church of St Mary and St Boniface is 2.1 km from The Boat House, while Plymouth Argyle Home Park Football Stadium is 1.1 km from the property. The nearest airport is Newquay Cornwall Airport, 77 km from the property. You have stumbled across a small Highly Commended guest accommodation with Superior Rooms and Luxury Beds that are the talk of our customers. Are you hoping to relax in comfort whilst enjoying a short break away from it all RELAX... You ve found the place for you. Only 5km from Chichester City Centre and just 2km from Bosham Historic Quay there is plenty of reasons to come and stay here Featured on Sky Travels Discover Britain . 4 Independent ground floor rooms all with Shower En-suites all Self Check In. Superior rooms within the Main House with baths and shower facilities. In House Assisted Check In Only. Boaters Guesthouse is a homely traditional B&B in a Victorian townhouse with some lovely sea-views over Weymouth bay and its Jurassic Coast. One minutes walk around the corner and your on Weymouths historic harbour with its ferry terminal. br / br / br / br / Take a couple of minutes walk in either directions and you be in the town centre with its bars restaurants and shops or be on Weymouths award winning beach which runs adjacent from the Pavilion Theatre. Excellent position for people wishing to fish or dive with Weymouths charter fleet. br / br / br / br / Boaters provides en-suite rooms with showers tea/coffee making facilities flat screen TVs with DVD and free WI-FI and irons on request. br / br / br / br / Full English breakfast is included with cereals juice etc. br / br / br / br / Parking permits are free upon request for street parking and the coach drop off and railway station is a short walk or taxi ride away. br / br / br / br / A warm welcome awaits. The Pilot Boat Inn well known as the pub that looks like a boat is the only pub on Bembridge Harbour. Extensively refurbished over the last two years it has a proper bar packed with locals and serves delicious home cooked fresh pub food. Five new bed and breakfast rooms all ensuite were added in 2012 making it the ideal place to stay and enjoy all Bembridge has to offer. Attractive staff atmosphere and ambiance all contribute to this unique proper pub only 1 minutes walk from the beach. On the banks of the River Dee, The Boat Inn in Aboyne offers well-appointed accommodation, a cosy bar and restaurant. This Aberdeenshire inn lies around 4 miles east of the Cairngorms National Park, and provides free parking and Wi-Fi in public areas. A full Scottish breakfast is served at The Boat Inn, with bacon, sausage, black pudding, eggs, beans, tomatoes, mushrooms and toast. Pancakes, French toast, and smoked salmon with scrambled eggs is also available, along with a buffet selection of cereal, yoghurts, fresh fruit and juices. Each guest room has an en suite bathroom with shower or bath. All have a TV, hairdryer and tea and coffee facilities. The restaurant serves a high-quality menu using fine Scottish ingredients. Aberdeen Angus steaks, North Sea fish and seafood and Highland cheeses are among the offerings. Aboyne is around 30 miles west of Aberdeen. The city's vibrant Union Street shopping district features well-known stores and boutique shops and is less than 1 hour's drive. Welcome to The Boat House quality dining and accommodation by the sea. Check-in commences at 3.00pm daily last check-in 9.00pm. Check out time is 10.30am. br / br / br / br / With attentive service and a relaxing atmosphere we pride ourselves on offering superb ales and an extensive wine selection to compliment our award winning food. You can enjoy a chilled glass of wine in the bar area or in the patio garden area which over looks the solent. br / br / br / br / We use local produce whilst creating meals for the restaurant. With local fresh fish dishes a daily specials board vegetarian options a smaller appetites menu and traditional pub favourites there are many options available to suit all tastes with a selection of mouth watering desserts on offer. br / br / br / br / With four en-suite rooms available including one twin and three superior rooms providing modern stylish accommodation with a homely feel and a nautical theme. br / br / br / br / Each of our rooms have flat screen televisons with Freeview and a DVD player alarm clocks with I-Pod docks a hairdryer and a complementary tea and coffee tray. br / br / br / br / Many with breath-taking views of the sea the perfect escape for your break in a calm relaxed location. br / br / br / br / Seaview is located on the north eastern point of the island 15 minutes away by car from the ferry port of Ryde. br / br / br / br / A village popular for its sailing and seaside location Puckpool park which is a stones throw from The Boathouse has crazy golf putting and tennis courts as well as swings slides and a roundabout for children. br / br / br / br / Further along the coast into Ryde there is a swimming pool ten-pin bowling alley as well as an array of shops in the town. br / br / br / br / So however much or little you wish to do on your break with us Seaview is an ideal base to create your perfect holiday with The Boat House being a perfect place to start. The Boat House Seaview offers quality dining and stylish rooms by the sea. We have four en-suite rooms each room is tastefully furnished for a relaxing break. Simply the best location in Bembridge! Close to beach and harbour a few minutes walk from all the village amenities. We have five en suite bedrooms above a lively fun bar. A great place to stay when visiting Bembridge or wanting to explore the rest of the Island. br / br / Bembridge has fabulous dog friendly beaches a busy active harbour a great community and wonderful shops. The marina is easily reached across the harbour using the water taxi (VHF Ch 80 or 07852 806017 ). The pub is located on the main road into Bembridge (the largest village in England) and has ample parking. br / br / br / br / The pub has five ensuite bedrooms with comfortable beds TVs wifi tea and coffee making facilities hairdryers luggage racks complimentary toiletries and good quality linen. A full cooked English breakfast is included in the price. br / br / br / br / Bembridge is the most eastern point on the Isle of Wight and is popular with sailors cyclists walkers or just families wanting a beach holiday. It is a great place from which to explore the Island. The Island has many attractions for all ages to enjoy and a wonderful variety of scenery to explore from ancient woodland downland marshes fantastic unspoilt beaches and coast line. The Island is also popular for many recreational sports including sailing water activities fishing flying golf walking and cycling. A new concept in accommodation - award winning static houseboats Millie Grace & Laila Mai offer apartment style boatel accommodation. Permanently moored in Sheffield's unique waterfront location - Victoria Quays. For those who want more than just a room! A unique innovative experience of staying by the water. In the market town of Penzance, The Longboat Inn is right opposite Penzance Train Station and a 5-minute walk from the beach. This family-run has a restaurant, a Mediterranean-style beer garden, a traditional bar with outdoor seating and rooms with free Wi-Fi. Rooms at the Longboat Inn have en suite bathrooms, LCD TVs with Sky channels, and tea/coffee facilities. Telephones, radios and hairdryers are provided, ironing facilities are available on request. The restaurant serves traditional homemade food using local ingredients where possible. A variety of breakfasts are served daily. The traditional bar stocks a wide range of award-winning beers and ales, along with speciality coffees and teas. Live sport is shown on the bar's HD/3D screens. Luggage storage is available, and Penzance Harbour is within a 5-minute walk from the hotel and has regular boat trips to the Isles of Scilly. The town centre has a good selection of shops, cafes and restaurants. With a thatched roof and white stone walls, The Old Ferry Boat is considered England's oldest inn. Overlooking the Great Ouse River, the rooms are tastefully furnished and have free Wi-Fi. The hotel is 30 minutes' drive from the centre of historic and picturesque Cambridge, and Duxford Imperial War Museum. Rooms all include a TV, telephone, stereo, ironing facilities and a private shower room. Some also look out on to the garden. The spacious, relaxing restaurant serves a range of meals, from traditional favourites to exotic dishes. Guests are offered a tasty full English breakfast every day. The Old Ferry Boat was built in Anglo Saxon times. Historical documents record that liquor was sold here as early as 560 AD but the foundations are thought to be a century older. The Boathouse is situated directly next to Puckpool park and Apply Beach in Seaview on the Isle of Wight. Guests can enjoy the on-site bar, offering a sun terrace and panoramic views of the Solent. Each room is individually decorated and is equipped with tea and coffee making facilities and a flat-screen TV. You will find a kettle in the room. For your comfort, you will find free toiletries and a hairdryer. There is a restaurant on site. The inn also offers bike hire. The property is 15 minutes' drive from the Fishbourne car ferry, and 9 minutes' drive from the passenger ferry at Ryde Pier Head. The Boat House Bed and Breakfast is located in Laugharne. Free WiFi is featured. The bed and breakfast offers a seating area with a flat-screen TV and a private bathroom with free toiletries, a hair dryer and shower. Tenby is 35 km from The Boat House Bed and Breakfast, while Carmarthen is 21 km away. Located in Bembridge, The Pilot Boat Inn features a terrace. The property features a bar, as well as a restaurant serving Grill Bbq cuisine. Free WiFi is provided. All rooms in the inn are fitted with a kettle. The private bathroom is equipped with a shower, free toiletries and a hair dryer. Guests at The Pilot Boat Inn can enjoy a continental breakfast. You can play darts at the accommodation. Shanklin is 13 km from The Pilot Boat Inn. The Lifeboat Inn is just a 2-minute walk away from marshes and sand dunes along the Norfolk Coast Path. This charming 16th century property is found in the picturesque village of Thornham, on the outskirts of Hunstanton. The inn's original character has been carefully preserved throughout, whilst being updated to include all modern comforts expected of a 3-star property. The en suite bedrooms feature free toiletries and a hairdryer, a TV and a radio. Providing the perfect base from which to explore the delightful County of Norfolk, Lifeboat is within easy reach of a number of attractions, including Holkham Hall, Sandringham House and Nelson's birthplace at nearby Burnham Thorpe. With landscaped gardens and picturesque views over the River Avon, this pub offers individually designed guest accommodation. Parking is free on site, and there is free Wi-Fi throughout the building. Guests also benefit from members rates green fees at a local golf club (subject to availability and advance booking). The Boathouse has a large raised deck with scenic river views, and the garden leads down to the water. Outdoor seating is available for al fresco dining in beautiful and peaceful surroundings. Guests can enjoy a range of real ales, and there is a carefully selected wine list. Hearty food is available in the restaurant, made from high-quality local ingredients. A full English breakfast is also available each morning. Central Bath can be reached in under 10 minutes by car and the Newbridge Park and Ride is situated next door, and offers frequent daily bus services to central Bath. The Roman Baths are 3 miles from The Boathouse, and Bath Spa Railway Station is a 5-minute drive away. Set in Liverpool, 007 HOUSE BOAT is 600 metres from ACC Liverpool. There is a restaurant and bar and guests can have fun at the water park. The property hosts live entertainment and quizzes throughout the week and weekend. Liverpool Echo Arena is 700 metres from the property. Free WiFi is provided. Guests will have full private use of the 007 HOUSE BOAT, featuring a seating area with a 65-inch satellite flat-screen TV and iPod docking station. Included is a dining area and/or patio. There is also a kitchen, fitted with an oven, a microwave, a toaster, a fridge, a kettle and a dishwasher. There Towels and bed linen are featured. Guests can enjoy the on-site restaurant. Guests will also find memorabilia from the James Bond films. You can play darts at the property, and the area is popular for skiing. The area is popular for golfing and cycling. Echo Arena is 800 metres from 007 HOUSE BOAT, while Albert Dock is 1.1 km away. The nearest airport is Liverpool John Lennon Airport, 11 km from 007 HOUSE BOAT. The Boathouse is located in Ely, 7 km from Ely Cathedral, and provides a terrace, garden, and free WiFi. The property features river and garden views. This holiday home features 1 bedroom, a kitchen, a flat-screen TV, a seating area and 1 bathroom. Fishing can be enjoyed nearby. London Stansted Airport is 80 km away. Houseboat Hotels offer a unique guest experience within fully equipped, static houseboats situated in Sheffield's Victoria Quays. All fully heated boats are just a 5-minute walk from Sheffield city centre. Each cosy, individually decorated houseboat provides guests with full bathroom facilities with hot water, a well-equipped kitchen for self-catering, a flat-screen TV, and hot air heating. At an additional cost, guests can enjoy full English or continental breakfasts, which are refrigerated prior to arrival for preparation at the guests' leisure. There is also discounted entry to the Hilton Hotel's Living Well Health Club available, which includes a gym, swimming pool, steam room, and hot tub. With a variety of activities on offer, Houseboat Hotels are a 10-minute walk from the famous Crucible Theatre, home of the World Snooker Championships. A 10-minute drive will bring guests to the Meadowhall Retail Park and the premier concert venue, Motorpoint Arena Sheffield. The Boathouse is a property situated in Tenby near Tenby Castle. The property is 3.8 km from Tenby Castle. The apartment is fitted with a TV. The kitchen is equipped with a dishwasher and an oven. Carew Castle is 6 km from the apartment. Boat House Super Suites is offering accommodation in Rothesay, Isle of Bute. All rooms boast a kitchenette and a private bathroom. The accommodation provides free WiFi throughout the property. All rooms at the bed and breakfast come with a seating area and offer sea views. All rooms are fitted with a flat-screen TV, and selected rooms here will provide you with a sea view. The rooms will provide guests with a microwave. A continental breakfast is served each morning at the property. Located in Liverpool Marina with an on-site bar and grill, this apartment boat has been designed to resemble the Titanic. Guests at Titanic Boat can enjoy a 52-inch TV with Sky channels. The lounge area has traditional dÃ©cor and leather sofas, and there is also a fully equipped kitchen with an oven, a fridge, a microwave, a stove, and a washing machine and dryer. Liverpool One shopping centre is a 12-minute walk from the property and Matthew Street is a 15-minute walk away. Moored in the Lochrin Basin, within a short walk from Princes Street and Edinburgh Castle, The Four Sisters Boatel is a four star, luxury, self-catering houseboat. The accommodation includes free WiFi access and stylish bedrooms. The Four Sisters features a fully-equipped kitchen with a breakfast bar. The property features a lounge area which includes seating for 6 people. The 2 separate cabin bedrooms are elegantly decorated, and there are 2 double bedrooms and a children's bunk bedroom. The boat also has a flat-screen TV, iPod dock and CD/DVD player. A small shower room is also found on board. Washing and laundry facilities are available on-site. Permanently moored in the upmarket Edinburgh Quay area, The Four Sisters Boatel boasts an enviable location in central Edinburgh. Situated in St. Leonards in the East Sussex region, The Boat House features a garden. Guests may enjoy free WiFi. The holiday home is fitted with a TV. Eastbourne is 29 km from the holiday home, while Hastings is 3.8 km from the property. Gatwick Airport is 97 km away. Boathouse is situated in Deganwy. Guests have a private balcony. The holiday home includes 3 bedrooms and a kitchen with a dishwasher and a toaster. Guests can also relax in the garden. Llandudno is 3.3 km from the holiday home, while Betws-y-coed is 30 km from the property. The nearest airport is Liverpool John Lennon Airport, 107 km from the property. Cygnus Boathouse is situated in South Walsham. Guests have access to free WiFi. The holiday home includes 1 bedroom and a kitchen with an oven and a microwave. Norwich is 23 km from the holiday home, while Great Yarmouth is 19 km away. The nearest airport is Norwich International Airport, 19 km from the property. Offering free WiFi and lake views, The Boathouse, Norwich is an accommodation located in Dilham. The accommodation is 22 km from Norwich. The holiday home comes with 2 bedrooms and a fully fitted kitchen with a dishwasher and an oven. Guests can relax in the garden at the property. Great Yarmouth is 28 km from the holiday home, while Cromer is 26 km from the property. Norwich International Airport is 20 km away. The Boathouse Cottage, Norwich is situated in Dilham. Free WiFi is provided. The holiday home has 2 bedrooms and a fully fitted kitchen with a dishwasher. Guests can also relax in the garden. Norwich is 22 km from the holiday home, while Great Yarmouth is 28 km away. Norwich International Airport is 20 km from the property. Boasting accommodation with a balcony, Boatyard Place is located in Abersoch. This apartment features accommodation with free WiFi. The apartment is equipped with a TV. The kitchen is fitted with a dishwasher and an oven. Caernarfon is 44 km from the apartment, while Porthmadog is 32 km from the property. Boathouse Cottage, KINGSBRIDGE is located in Beesands. The accommodation is 31 km from Torquay. The holiday home is equipped with 2 bedrooms and a fully fitted kitchen with a microwave. Plymouth is 44 km from the holiday home. Exeter International Airport is 81 km from the property. New Boathouse, WEYMOUTH offers accommodation in Weymouth, 1.5 km from Weymouth Harbour and 300 metres from Weymouth Marina. The accommodation is 2 km from the Sandsfoot Castle. The holiday home is equipped with 1 bedroom and a fully fitted kitchen with a dishwasher. Bournemouth Airport is 62 km from the property. Set less than 1 km from Tower Bridge and 1.8 km from Tower of London, 1 Bedroom Princess Live-aboard Boat is located in Tower Hamlets of London. Complimentary WiFi is featured. The apartment includes a living room and 1 bathroom with free toiletries and a shower. The accommodation is fitted with a kitchen with a microwave and toaster. Sky Garden is 2.2 km from the apartment, while London Bridge is 2.6 km from the property. The nearest airport is London City Airport, 10 km from the property. Boatland Lodge is situated in Perth. The accommodation is 4.4 km from Scone Palace. The holiday home features a TV and 2 bedrooms. Guests can also relax in the garden. Perth Concert Hall is 500 metres from the holiday home, while St Ninian's Cathedral is 200 metres away. The nearest airport is Edinburgh Airport, 67 km from Boatland Lodge. Located in Glencoe, just 2.3 km from Massacre of Glencoe, The Boathouse offers accommodation with free WiFi. The property has sea and mountain views. The holiday home comes with a flat-screen TV. The holiday home also provides a seating area, washing machine and 1 bathroom with free toiletries. Offering free WiFi and river views, The Boathouse, Kingswear is an accommodation set in Kingswear. The accommodation is 17 km from Torquay. This holiday home comes with a seating area, a kitchen with a dishwasher, and a TV. Dartmouth is 1.3 km from the holiday home, while Paignton is 13 km from the property. Exeter International Airport is 57 km away. The Boat House, Lerryn is situated in Lerryn. Guests may enjoy free WiFi. This holiday home comes with a seating area, a kitchen with an oven, and a TV. Newquay is 44 km from the holiday home, while Padstow is 38 km from the property. The nearest airport is Newquay Cornwall Airport, 41 km from the property. Houseboat Harbourside View is a family-run bed and breakfast moored on Bembridge harbour, with fantastic sea views. Off the far east coast of the Isle of Wight, the luxury accommodation includes a master suite with a large balcony and its own whirlpool bath. All rooms at Houseboat Harbourside View have an en suite bathroom with spacious shower, a TV, tea and coffee facilities and table and chairs. The superior king room also includes a mini-fridge, sofa and has clear harbour views through the patio doors. Breakfast is full English, plus there's a choice of fruit, cereals, breads and pastries. You can enjoy your breakfast in the dining room. Bembridge village is a short drive from the island's main towns, with Sandown and Shanklin around 15 minutes away, and Newport just under 25 minutes. The peaceful harbour setting is a short walk into the village where you can find relaxing cafÃ©s and seafood restaurants. Situated in Boat of Garten, Millview, Boat of Garten provides accommodation with a patio and free WiFi. The property has mountain views. The holiday home is fitted with 3 bedrooms and a fully fitted kitchen with a dishwasher and an oven. Guests can also relax in the garden. Inverness is 48 km from the holiday home, while Aviemore is 12 km from the property. The nearest airport is Inverness Airport, 57 km from the property. Boasting accommodation with a terrace, The Houseboat is situated in Poole. The property is 3.4 km from Poole Harbour and 11 km from Sandbanks. The holiday home has a flat-screen TV. The accommodation is equipped with a kitchen with a dishwasher and an oven. Guests can relax in the garden at the property. Brownsea Island Nature Reserve is 8 km from the holiday home. The nearest airport is Bournemouth Airport, 21 km from the property. The Boathouse 4265 is a holiday home set in Saint Mawes, 1.3 km from St Mawes Castle. There is a seating area and a kitchen equipped with an oven. A TV is available. There is a private bathroom with a bath. The nearest airport is Newquay Cornwall Airport, 32 km from The Boathouse 4265. Houseboat Heyvon is a building on stilts located in Bembridge Harbour. It offers self-catering accommodation with free WiFi access. The beach is about 600 metres away. The holiday home comes with lounge area that overlooks the sea and comprises a seating area, a flat-screen satellite TV and a DVD player. The fully equipped kitchen comes with a hob, oven, dishwasher and a microwave. The bathroom is fitted with a shower and includes a hairdryer. The Heyvon's terrace comes with seating furniture and overlooks the sea. The property is dog friendly and comes with a fenced off area for pets. Free private parking is available on site. This property is 82 km from London Gatwick Airport. Boatswain s Rest is located above Staples & Green shop you are right by the Coast bar The Ale House & Tiffin s. br / br / br / br / Due to its location the nearest parking is St Mary s road car park so if you are bringing a car we recommend purchasing a new tourist parking permit. The lounge has a good quality bed sofa so can sleep 4. br / br / br / br / Layout: br / br / metal staircase up to entrance- Kitchen - bedroom 2 singles - bathroom - shower room - lounge with double Sofa bed- patio. br / br / br / br / Facilities: br / br / Washing machine. Microwave. TV. patio. wifi available close by. br / br / br / br / Parking: br / br / nearest parking is St Mary s road car park. br / br / br / br / PLEASE NOTE: Cash is only payable via bank transfer. We do nto take Cash at the property. 5 The Boathouse offers accommodation in Rye, 2.3 km from Camber Castle. The accommodation features free WiFi. The holiday home is equipped with a TV. Gatwick Airport is 104 km away. 16 The Boathouse is set in Rye. The Camber Castle is within 2.3 km of the holiday home. The accommodation is equipped with a kitchen. The nearest airport is Gatwick Airport, 104 km from the property. Pilmuir, Boat of Garten is situated in Boat of Garten and offers a garden. Guests staying at this holiday home have access to free WiFi. Providing access to a patio, the holiday home consists of 4 bedrooms. The kitchen is fitted with a dishwasher and an oven. Inverness is 48 km from the holiday home. Inverness Airport is 58 km from the property. Located in Kingswear in the Devon region, Holiday Home Bight Boatyard features a terrace. Guests may enjoy the free WiFi. This 4-bedroom holiday home comes with a kitchen, a seating area, and a satellite TV. Private parking is available at the holiday home. Torquay is 18 km from Holiday Home Bight Boatyard. The nearest airport is Exeter International Airport, 58 km from the accommodation. The Boathouse, Dartmouth is a property situated in Dartmouth near Greenway. Set 5 km from Blackpool Sands, the property offers a garden. The holiday home is equipped with 2 bedrooms and a fully fitted kitchen with a dishwasher. Dartmouth Castle is 1.6 km from the holiday home. The nearest airport is Exeter International Airport, 57 km from the property. Blueboat Cottage, Salcombe is situated in Salcombe. Guests staying at this holiday home have access to a fully equipped kitchen. Torquay is 44 km from the holiday home, while Plymouth is 40 km from the property. The nearest airport is Exeter International Airport, 78 km from the property. The Boathouse at Auchinstarry Marina Kilsyth offers 10 luxurious bedrooms many with stunning marina views. Boat House is located in Cambourne and offers a garden. This property offers access to free WiFi. The holiday home includes 2 bedrooms and a living room with a TV and a DVD player. Cambridge is 20 km from the holiday home. The nearest airport is London Stansted Airport, 59 km from Boat House. Located 6 km from Blackpool Sands and 500 metres from Greenway, The Boathouse provides accommodation situated in Dartmouth. The property is 1.8 km from Dartmouth Castle. Guests can also relax in the garden. The nearest airport is Exeter International Airport, 58 km from the property. The Boathouse is situated in Stoke Gabriel. Providing free WiFi, the property also has a garden. With 3 bedrooms and 3 bathrooms, this holiday home comes with a TV and DVD player. Torquay is 12 km from the holiday home, while Plymouth is 46 km from the property. Exeter International Airport is 50 km away. The Boat Watch is situated in Mousehole. The accommodation is 19 km from St Ives. The holiday home features a TV. Falmouth is 48 km from the holiday home. The nearest airport is Land's End Airport, 15 km from The Boat Watch. The Boat House is located in Rosemarkie. This holiday home has a garden. The holiday home has a TV and 2 bedrooms. Inverness is 23 km from the holiday home, while Nairn is 45 km away. The nearest airport is Inverness Airport, 34 km from the property. Featuring a garden, The Boathouse II offers accommodation in Kessingland with free WiFi and sea views. The accommodation is 45 km from Norwich. Great Yarmouth is 27 km from the holiday home. The nearest airport is Norwich International Airport, 60 km from The Boathouse II. Set in Wells next the Sea, Norfolk region, The Lifeboat Inn is located 10 km from Blakeney Point. Featuring a restaurant, the property also has a bar. The accommodation offers free WiFi. All guest rooms in the inn are fitted with a flat-screen TV. The rooms will provide guests with a wardrobe and a kettle. A Full English/Irish breakfast is served each morning at the property. Norwich International Airport is 50 km from the property. Sandridge Boathouse, Stoke Gabriel is set in Stoke Gabriel. The accommodation is 12 km from Torquay. The holiday home is equipped with 1 bedroom, a TV and a fully equipped kitchen that provides guests with a dishwasher. Exeter is 46 km from the holiday home, while Dartmouth is 12 km away. The nearest airport is Exeter International Airport, 50 km from Sandridge Boathouse, Stoke Gabriel. Offering free WiFi and sea views, The Boathouse is an accommodation set in Findochty. The accommodation is 32 km from Elgin. The holiday home is equipped with a TV. The nearest airport is Inverness Airport, 80 km from the property. Located in Thorpeness in the Suffolk region, Boat Lake features a balcony. The apartment has lake views and is 42 km from Ipswich. This apartment is fitted with a flat-screen TV, a seating area, a kitchenette with a microwave and a toaster, and 1 bathroom. The apartment offers a terrace. A bicycle rental service is available at this property. Aldeburgh is 3.6 km from Boat Lake. Norwich International Airport is 81 km from the property. The Boathouse is situated in East Cowes and offers a garden. Guests staying at this holiday home have access to free WiFi. The holiday home is equipped with a TV and 2 bedrooms. Shanklin is 20 km from the holiday home. Boasting accommodation with a patio, Holiday Home Boat House is situated in Acharn. This holiday home offers accommodation with free WiFi. The holiday home features 3 separate bedrooms and includes a kitchen with a dishwasher, oven and dining area. Private parking is available at the holiday home. Oban is 37 km from Holiday Home Boat House, while Tobermory is 37 km from the property. Located in Hornsea in the East Riding of Yorkshire region, The Old Lifeboat House features a garden. Guests staying at this holiday home have access to a fully equipped kitchen. Hull is 29 km from the holiday home, while Bridlington is 24 km away. The nearest airport is Humberside Airport, 58 km from the property. 3 Osprey Drive, Boat of Garten is located in Boat of Garten. This property offers access to free WiFi. The holiday home features 3 bedrooms and a fully fitted kitchen with a dishwasher. Guests can also relax in the garden. Inverness is 46 km from the holiday home, while Aviemore is 10 km away. Inverness Airport is 55 km from the property. Set in Inverness in the Highlands region, with Caledonian Canal and Inverness Museum and Art Gallery nearby, The Boat and Breakfast offers accommodation with free WiFi. There is a fully equipped private bathroom with shower and a hair dryer. Guests can also relax in the shared lounge area. Inverness Castle is 2.3 km from the bed and breakfast, while University of the Highlands and Islands, Inverness is 7 km away. The nearest airport is Inverness Airport, 16 km from The Boat and Breakfast. 17 The Boathouse, Rye is situated in Rye. The accommodation is 2.3 km from Camber Castle. The holiday home includes 1 bedroom and a kitchen with an oven and a microwave. Private parking is available at the holiday home. Guests can relax in the garden at the property. The nearest airport is Gatwick Airport, 101 km from the property. Located in the world heritage city of Bath, this charming Victorian boating station is less than a mile from the famous Roman Baths. Overlooking the river Avon, it offers free Wi-Fi in some rooms, free on-site parking and a restaurant. The accommodation at Bath Boating Station each features a bathroom with a bath or a shower, complimentary toiletries and a hairdryer. There is also a seating area with a sofa, a private entrance, a fridge and kitchenware. Some of the rooms include a river view. Bath city centre is a short 25-minute walk from the property. Alternatively, guests can make the most of the rowing boats, punts, canoes and kayaks available to explore the city. The Jane Austen Centre is just 18 minutes' walk from the property and Sham Castle is a 16-minute stroll to the south. Bath Spa Train Station is also a 21-minute walk away. Located in Scarborough's Old Town, just by the harbour, The Boat Shed is a family-run hostel set in a recently renovated shipwrights warehouse, featuring bunk barn style accommodation to sleep 10. The Boat Shed offers access to shared bathrooms, kitchen and lounge facilities, with free WiFi throughout. Guests can stay in mixed dormitory rooms. At The Boat Shed, guests have access to a shared kitchen equipped with oven, stove and microwave. BBQ facilities are also available at the property. Guests can drive 4 miles to the North York Moors National Park. Scarborough Railway Station is 1.1 miles away. The Boat House is located in Roughton. Guests staying at this holiday home have access to free WiFi. The holiday home is fitted with a TV. Norwich is 32 km from the holiday home. The nearest airport is Norwich International Airport, 28 km from The Boat House. Broad Cottage Boathouse is set in Ranworth and offers a garden. Guests can enjoy the free WiFi. The holiday home comes with a TV. Norwich is 22 km from the holiday home, while Great Yarmouth is 21 km away. The nearest airport is Norwich International Airport, 17 km from the property. Located in Rye, within 2.3 km of Camber Castle, 15 The Boathouse, Rye is an accommodation offering lake views. This holiday home also features free WiFi. The holiday home is equipped with 1 bedroom and a fully fitted kitchen with an oven. Gatwick Airport is 104 km away. Inglenook Boathouse is located in Rudyard and offers a garden. This holiday home features accommodation with free WiFi. Offering 1 bedroom and 1 bathroom, this holiday home features a TV and DVD player. Buxton is 27 km from the holiday home, while Stoke on Trent is 21 km from the property. Manchester Airport is 44 km away. Long Boats offers accommodation in Tenby, 5 km from Tenby Castle and 7 km from Carew Castle. Guests staying at this apartment have access to a fully equipped kitchen. The apartment has a TV. Manorbier Castle is 10 km from the apartment. Featuring accommodation with a balcony, The Boathouse is located in Porthmadog. Guests can enjoy the free WiFi. This apartment comes with 1 bedroom, a TV, and a kitchen with a dishwasher and an oven. Betws-y-coed is 38 km from the apartment. Offering free WiFi and sea views, Old Boathouse, WEYMOUTH is an accommodation situated in Weymouth. The property is 1.5 km from Weymouth Harbour. The holiday home is fitted with 1 bedroom and a fully fitted kitchen with a dishwasher. Weymouth Marina is 300 metres from the holiday home. Bournemouth Airport is 62 km from the property. A luxurious 5-star bespoke boat designed around the theme of Joker from Batman, this barge is situated in Liverpool's boating marina, with its own bar and grill. The Joker Boat is contemporary in style, with sleek purple furnishings and elegant dÃ©cor. The fully-equipped Italian kitchen boasts a gas oven and cooker, a microwave, a fridge, a washing machine and a dryer. There is seating space and a TV with Sky channels. The city's main attractions, including Mathew Street and Liverpool One shopping centre, are less than 10 minutes away on foot. Liverpool John Lennon Airport is 18 minutes' drive away and Manchester International Airport is 36 miles from the property; a luxury pick-up service in a Rolls Phantom or a H2 Hummer is available from these airports at a surcharge. With a beachfront location and panoramic sea views, The Fishing Boat Inn offers a luxury self-contained studio. Guests can enjoy an onsite pub and restaurant, along with free Wi-Fi throughout and free parking. Featuring a private entrance and a decked area, the self-catering studio offers a spacious open plan bedroom and dining area, with a 42-inch flat-screen TV, a CD player, and a king-size bed. The kitchen has electric hobs, a microwave, and a fridge. With sea views, the lounge area is upstairs. Situated in Bolumer, The Fishing Boat Inn is just 6 miles from Alnwick. With sandy beaches on the doorstep, guests can enjoy walks along 20 miles of coastline. The lively harbour town of Amble is a 20-minute drive away and Warkworth is 7 miles. Home to the oldest golf course in Britain, picturesque Alnmouth is 10 minutes' drive away. Known for its famous smoked fish, the village of Craster can be reached after a 15-minute drive. Spout Crag Boathouse is set in Sawrey and offers a garden. The accommodation is 6 km from Windermere. The holiday home is equipped with a TV and 2 bedrooms. Ambleside is 13 km from the holiday home, while Bowness-on-Windermere is 4.1 km from the property. The Boatman'S Cottage is set in Balmacara. The property is 10 km from Eilean Donan Castle. Boasting lake views, The Boathouse at The Fisheries, Mold features accommodation with a garden, around 16 km from Clwyd Theatr Cymru. Guests staying at this holiday home have access to a fully equipped kitchen. The nearest airport is Liverpool John Lennon Airport, 68 km from the property. Just a few minutes from Junction 3 of the M65 - yet in the middle of the beautiful Lancashire countryside - we are perfectly situated on the Leeds/Liverpool canal. All of our 6 bedrooms are in a separate block away from the restaurant/pub and benefit from contemporary furnishings LCD TVs tea & coffee making facilities luxury ensuite facilities. Ample car parking spaces. Free WIFI is available in all of our rooms. Perfect for business people families couples who just want a night away! Featuring a garden, The Old Boathouse provides accommodation in Portland with free WiFi and sea views. The accommodation is 3.4 km from Portland Museum. The holiday home is equipped with a TV and 2 bedrooms. Rufus Castle is 3.5 km from the holiday home. Bournemouth Airport is 75 km away. Situated in Portloe, The Portloe Boathouse features accommodation with a terrace and free WiFi. Guests staying at this holiday home have access to a fully equipped kitchen. The holiday home comes with a flat-screen TV and 2 bedrooms. The holiday home also offers 2 bathrooms. Newquay is 37 km from the holiday home, while Falmouth is 39 km away. The nearest airport is Newquay Cornwall Airport, 38 km from the property. Located in Kingsbridge in South Devon, The Boathouse is next door to the award-winning Crabshell Inn. Free WiFi is offered throughout the property. The holiday home comes with 2 separate bedrooms and includes a kitchen with a dishwasher, oven and dining area. There is a large balcony with estuary views. Salcombe is 7 miles from the holiday home. The nearest airport is Exeter International Airport, 57 km from The Boathouse. Horton Lodge Boathouse is located in Horton. Featuring lake views, this holiday home also has free WiFi. The holiday home features 4 bedrooms and a fully fitted kitchen with a dishwasher. Guests can also relax in the garden. Buxton is 26 km from the holiday home, while Stoke on Trent is 20 km from the property. Manchester Airport is 43 km away. The Boat House is situated in Catfield. Guests may enjoy free WiFi. The holiday home features a TV and 3 bedrooms. The accommodation is equipped with a kitchen. Guests can relax in the garden at the property. Norwich is 35 km from the holiday home, while Great Yarmouth is 22 km from the property. The nearest airport is Norwich International Airport, 24 km from The Boat House.